Having the right dog crate when you start raising a new puppy is essential for various reasons. Some puppies do not yet know how to cope with large open spaces since they are new to the home and a perfect size dog crate can help calm him down. Dog crates are also a fantastic way to easily housebreak a puppy. All in all, a good dog crate is an invaluable training tool regardless of what type of puppy you have. Make sure that you get the appropriate size crate based on your dog's height and width. 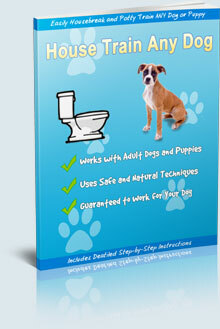 This is especially important if you are housebreaking your puppy with a dog crate. If the box is too large then your puppy may use the bathroom on one side, but keep sleeping on the other side, which defeats the purpose of crate training in terms of potty training. If you have a fast-growing puppy, then consider buying a large crate that is meant for an adult dog but that has a divider built into it. This way you can divide the crate in half so that your puppy will be able to lie down comfortably and still be able to turn around if needed. A divided dog crate can also be used for your larger puppies by removing the division bracket.